Yiwu established its fame in around the world for its "small" and cheap items. In fact, many of these small items can be converted into wedding favors. If you're looking to buy wedding favors from China, but don't from where to start, this article would help you. As there are so many wedding items from numerous vendors, I can’t list them all here. Instead, this article just helps you get some rough idea. You can evaluate the potential using your own expertise. And, because the prices are fluctuating as a result of material price, labor cost, currency exchange, and market demands etc. The prices here can only serve as reference, NOT actual prices. 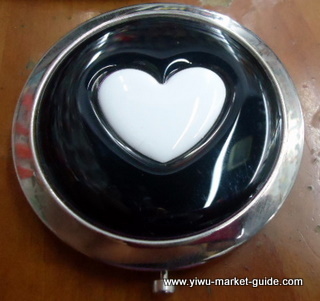 Yiwu is a wholesale hub for all small items in China. For wedding favors, you can find almost all of them here. And also numerous small items like key-chains, bag hangers, compact mirrors, wine stoppers... can also be converted to wedding favors. In one word, variety is VERY good. This item is about 0.60 USD. This small compact mirror is about 0.30 USD/per. 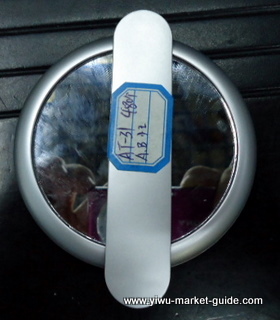 wine stopper wholesale in Yiwu market. 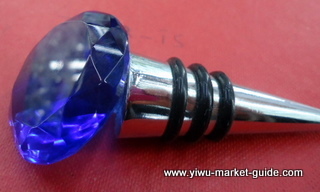 This crystal wine stopper is wholesaling at 0.95 USD/per. 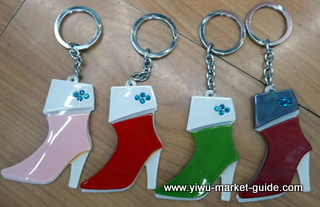 This acrylic wedding favor key-chain is about 0.5 USD/pc. 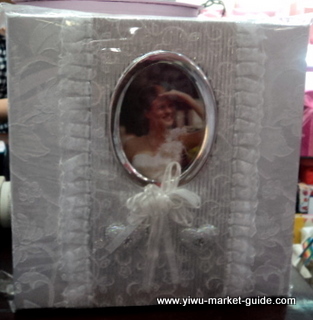 This wedding package is wholesaling at 0.20USD/per in Yiwu market. wedding candles wholesale in Yiwu market. After 20 years of trading and making these small items, now quality in Yiwu market for these items are pretty OK. Usually if buyers are willing to pay more,the suppliers here can make even better quality. MOQ is usually 2-5 cases for one item. Colors can usually be mixed in a carton. These items are usually fragile, they need GOOD packing. If the packing can not protect the products inside, then it's going to be a disaster. 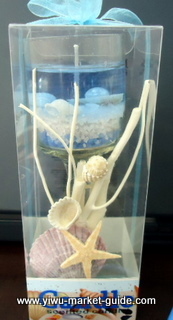 Also for products like candles, they can not be placed on top inside the container. They can easily melt. Any wooden products need to be fumigated before shipping out to some countries. 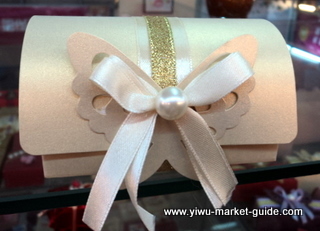 >> Return to buy from Yiwu from buy wedding favors from yiwu china.